I'm the type of person who will avoid walking over three drains, step around ladders rather than walking under them and handle mirrors with extra care. I've never been a particularly unlucky person, but I don't consider myself as being too lucky either. I've only ever bought two scratch cards in my life (and that was just for the novelty of it when I turned sixteen), and as I lost both times I've never tried my hand at them again. What I'd never tried until a few days ago, however, was testing my luck online. Lottoland kindly gave me the opportunity to do this, and I'm pretty impressed! 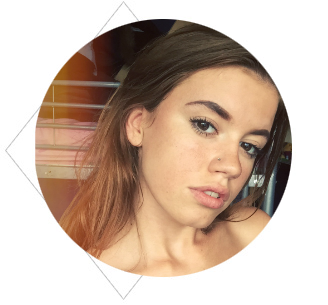 I often wonder what I would do if I won the lottery; I like to think that I'd sensibly put it towards a house mortgage, insurance and other important adult-y things, but anyone who knows me well enough would know that the probability of me blowing it all on clothes, shoes, makeup and travelling is much higher. 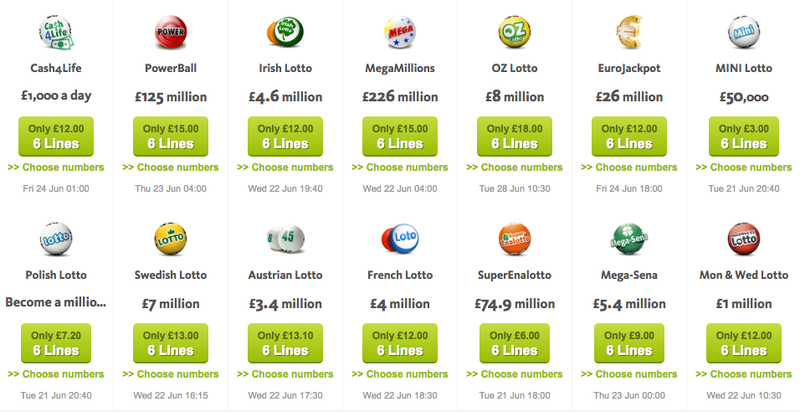 Lottoland is a little bit different to how you normally enter the lottery, which in some ways makes it more exciting. Instead of just purchasing a ticket and picking numbers, you are actually betting on the outcome of the lottery. As you are not actually entering the lottery and instead betting on the results of the lottery, this means that so many more lotteries are available to you that you can't normally enter. Jackpots such as the Australian, Irish and Oz lottos can be easily bet on, giving you more access than physical lotteries in shops, and more chances of winning some money! The Lottoland website is pretty straightforward and simple - even I, someone who's never used a lottery site before, picked it up within minutes. To play, it is pretty much the same as entering a normal lottery; you simply pick a lottery, choose your numbers and then wait in anticipation for the draw. Does anyone else always select their friends and family's birthdays as lottery numbers, or is it just me?! There are also lots of other handy little features on the site to make your lottery experience easier and stress-free - you can easily subscribe to different lotteries if you fancy playing regularly, which will enter you into your chosen lotteries weekly. You can also choose to use the 'Double Jackpot' feature which means if you get lucky and win, you get twice the amount of the normal jackpot! 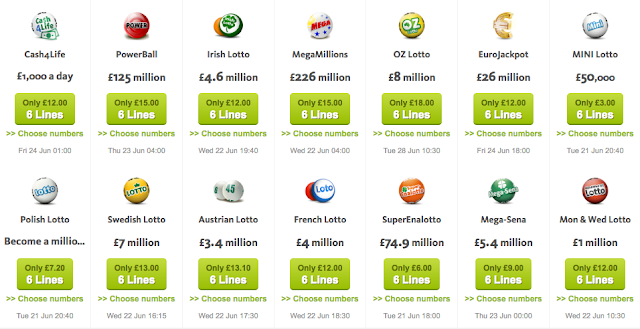 If you're feeling lucky, head over to Lottoland.com and you could be going to sleep with a lot of extra money tonight. The website is easy, quick and user-friendly so even if, like me, you haven't used a site like this before, it's super straightforward and an easy way to try to win some money! If I win the lottery I'll travel the world! Lottoland sounds really interesting! I do play the lottery from time to time. It would depend on how much I won what I would do if I won - anything from travelling more and helping friends to investing in my own business! I'd definitely go to New York if I won the lottery. Lots of holidays for sure. Plus I would fund some random arts/creative projects that needed a boost.